Significant cultural change and investment initiated by YANMAR MARINE INTERNATIONAL (YMI) in 2015 is paying dividends in the market with positive sales figures and increased brand recognition backed by further acquisition plans in the pipeline to expand its system packages. 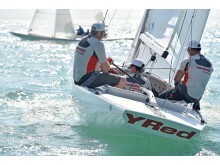 With a reorganized, expanded marine division in place, enabling a transition from a product-oriented to market-driven company, YMI has also strategically integrated a series of new product launches, partnerships, initiatives, leadership appointments and regional developments to generate a tangible upward turn in profile and revenue, as well as to foster a closer connection to customers. 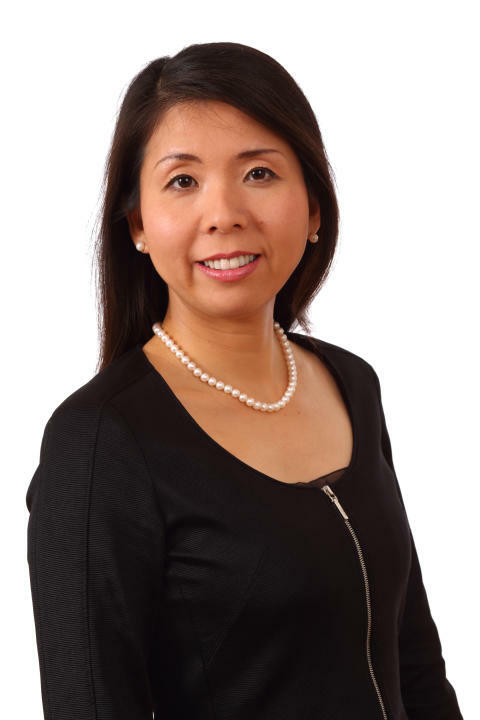 Targeting a two-fold increase in sales after joining the company in 2015 at its new Almere, Netherlands headquarters, YMI President Shiori Nagata has confirmed the business’s projected growth is on track as she sets her sights on enhancing YANMAR’s position as a leading marine systems provider. 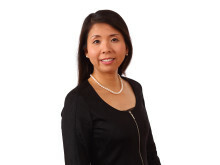 Shiori Nagata said: “My aim when I started the role was to revitalize YANMAR’s marine recreational business, partly by changing the corporate culture by making it faster, more effective, proactive, innovative and creative. After four years of strategic expansion, we are now involved with many different projects across the boating industry and see many more opportunities. We will continue to invest in product developments and new technologies in support of our plan to offer the best boating experience to our customers. Notable milestones which have contributed to the success of recent years include an agreement with Neander Shark for exclusive distribution of the Dtorque turbo diesel outboard engine. Already owners of VETUS and Maxwell, YANMAR acquired leading low-drag folding propeller manufacturer Flexofold in 2017. 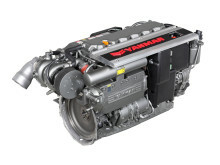 Further product launches have included the YANMAR 4LV series, the fourth generation of the YANMAR 6LY series and the award-winning YANMAR 3JH40 common rail inboard engine, expanding its complete line-up of efficient and quiet sailboat and powerboat engines with class leading features. To develop a strong global team able to differentiate YANMAR’s products and provide solutions to meet customer needs, YMI confirmed several key leadership and sales developments in recent months, including Teruyuki Yamaoka’s appointment as the new Vice President YMI. Floris Lettinga was promoted to Director Sales and Marketing to extend his 15 years within the marine department at YANMAR, with experienced business development manager Martijn Oggel joining the company as Global Sales Manager to focus on sales development and market penetration. Regional changes included the addition of Daniel Sundberg as Nordics Regional Manager, with Julio Arribas appointed as Regional Manager for South-Western Europe.In 2018, YANMAR MARINE FINLAND assumed full responsibility for the distribution of its products and services in Finland, Estonia and Latvia, while YANMAR France SAS was established to strengthen YANMAR’s presence in the country. 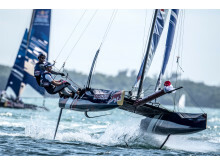 Demonstrating its commitment to the recreational marine industry, YANMAR joined forces with international racing events and the 36thAmerica’s Cup, announced backing for the Red Bull Foiling Generation, and revived its Dragon Class yacht racing team, YANMAR Racing. YANMAR also confirmed a strategic investment in GetMyBoat, the world’s largest boat rental and water experience marketplace, to engage new audiences with boating and to help grow the industry. With its beginnings in Osaka, Japan in 1912, YANMAR went on to become the first company to succeed in making a compact diesel engine of practical size in 1933. 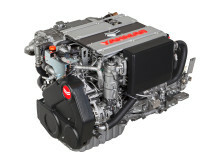 With industrial diesel engines as the cornerstone of the business, YANMAR has continued to expand its range of products, services and expertise to deliver total solutions as a diesel engine and equipment manufacturer. Providing small and large engines, agricultural machinery and facilities, construction equipment, energy systems, marine engines, machine tools, and components — YANMAR’s global operations span seven business domains on land and at sea. 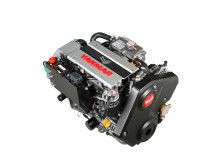 Based in the Netherlands, YANMAR MARINE INTERNATIONAL is focused on the recreational marine sector globally, supplying engines for both sailboats and powerboats, and light duty commercial applications. 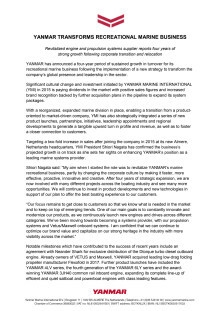 Over the years, YANMARhas built an enviable reputation for proven marine technology delivering high quality and reliability and continues to develop advanced technology for the cleanest and most efficient diesel engines.